« 2008.12.26 Jet Set UK Year’s End!! Join us for a stylish way to see in the New Year. An invitation only event for hotel guests, Guy Perryman Black Card Members & their friends. Bar a Vins Tateru Yoshino. Guy will DJ a smooth mix of exotic lounge & deep house. Soulful singer Mari Stone will perform live. Complimentary countdown kampai at midnight. Enjoy the metropolitan skyline view & visuals. Smart. Gentlemen â€“ jackets. Ladies â€“ elegant. There is a cloakroom at reception on the 25th floor. Guy Perryman Black Card Members Â¥1,000, others Â¥2,000 entrance fee at door. Numbers are limited to a total of 200 people. 100 Guy Perryman Black Card Members & friends have priority access. You must RSVP to confirm your reservation â€“ on a first come first served basis. 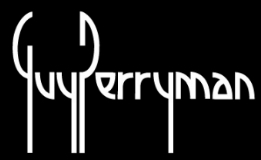 Guy Perryman Black Card Number & number of guests in your group. The hotel will return your email with confirmation details. We hope to see you for one last hurrah in 2008!! This entry was posted on Saturday, December 27th, 2008 at 2:50 pm and is filed under Events & Experiences. You can follow any responses to this entry through the RSS 2.0 feed. You can leave a response, or trackback from your own site.